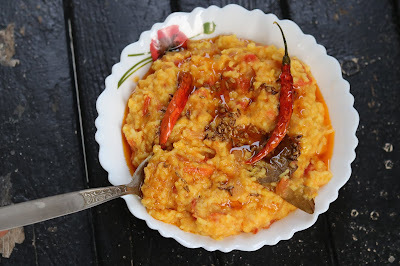 See how to make restaurant style Dal Khichdi recipe in just 10 min. Moong Dal Khichdi is not only yummy but very nutritious too. Dal Khichdi is complete meal. It is simple, easy and more importantly healthy dish which is mainly prepared from lentils and rice. 1. Wash and soak rice and dal nicely and soak in 1 cup water for 15 min. 2. Transfer soaked rice and dal. Add salt, turmeric powder and little oil. Pressure cooker till 2-3 whistles. Both rice and dal should blend together. 3. Prepare masala in separate pan. Heat ghee. Saute onions along with ginger garlic till little brown. Add chopped tomatoes, and saute for few minutes. Add all spices and cook the masala till oil separates from it. 4. Add dal khichdi in prepared masala and mix well. 5. Prepare second tadka of desi ghee, cumin seeds and red chili. 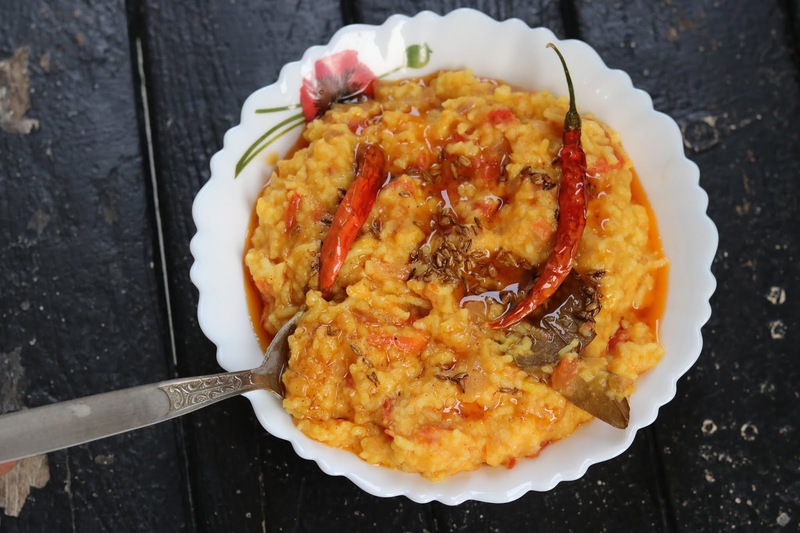 Top this tadka on prepared masala khichdi and serve immediately.